BEIJING: Rescuers using infrared cameras to peer into darkness at a wrecked mine in eastern China today found eight surviving miners who were trapped for five days after a collapse so violent it registered as a seismic event. Infrared cameras detected the surviving miners waving their hands today, and rescuers were drawing up plans to pull them to safety, said state broadcaster China Central Television, or CCTV. 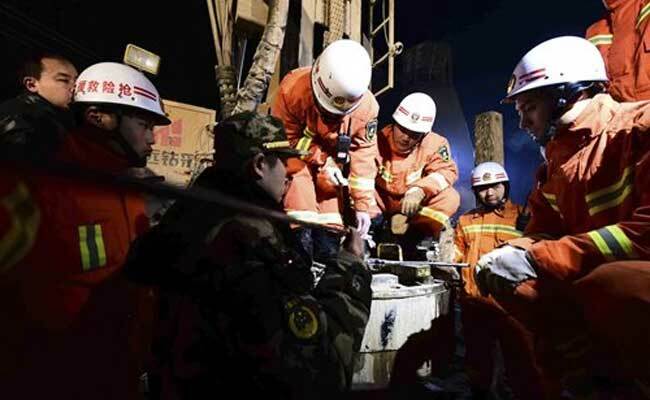 The rescuers sent provisions underground to the trapped men, China's official Xinhua News Agency said.